I have another confession to make, I’ve bought two prams since this article was originally written in April 2013! Whoops! I have good reasons… excuses… mostly boredom, opportunity, poor impulse control and my partner is a terrible enabler. I look to him to say “no” and he says “why not”. So, I thought I’d update this confession with my newest purchases and take you through the journey of how one thing led to another and I wound up buying my 11th pram. Maclaren Techno XT (2007 model) My first pram was based on recommendations from the coupe of people I knew with babies – not many of my friends were mums so I didn’t have much experience with prams, so a couple of recommendations of this pram was enough for me to assume it was a perfectly good pram. And it is, I’m not saying it’s not, it’s still in our garage, alive and kicking after 5 years and two children, it’s been on several flights, and while it is a little worse for wear, surprisingly it is still a functional pram. However, I don’t drive, so an umbrella stroller – no matter how good – wasn’t cutting it for me for getting grocery shopping done, or for long walks. I needed an all-terrain vehicle, and a decent sized shopping basket. 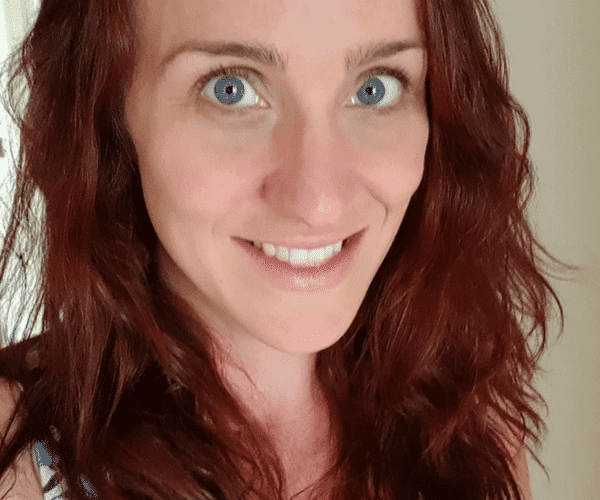 By this stage I was looking at doing some nanny work, I found a job, with immediate start, looking after a 2 year old girl, and I was welcome to bring my little boy with me – who was about 6 months old at the time. After my first day, I decided I needed a double pram IMMEDIATELY. The next day I went to toys’r’us and purchased the cheapest double pram I could find. Whatever this is. It cost about $150, sorry I can’t remember the actual brand or model, it was a while ago! But it did the trick, I was able to leave the house with two kids! Then due to an sudden custody change, the day after my rush purchase of a double pram for the job I’d just started, the little girl was no longer in need of care, so I hadn’t need to buy the pram in such a hurry! It did still prove useful, as I was able to put my little boy in the front seat and load the back up with groceries. Win! Except I did sometimes feel a bit self-conscious about taking out a double pram with only one child in it. Love’n’Care Adiva Sport. Incredibly this lovely pram came into my life by accident. It was thrown on the side of a road on hard trash day, much like my second pram had been, it was dusty, dirty, it didn’t look good, but I was willing to give it a go. We took it home, hosed it off, gave it a scrub, and found underneath the filth it was still a very nice pram. I quite liked this pram actually, it has a very upright seat position which I think is important, but as it turned out I’d been picking up more nannying and baby sitting work – and finding the double stroller was not working for me, wheels were too small and steering it when loaded with two kids was painful – near impossible. I’d also noticed it was quickly detoriating. So I’d made the decision to fork out some real money and buy an Adventure Buggy. 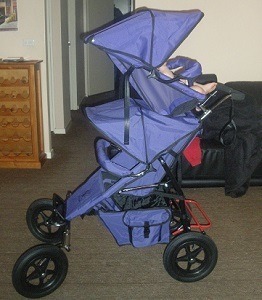 When my big beast of a pram arrived, I sold the double stroller and the love’n’care on ebay. Childcare discovery. I do have a small soft spot for this pram, it had a reversible handle, and it was pretty cool being able to switch between rear and forward facing without having to remove the a seat, however it was weird to steer from the “front” of the pram. I’d been given it after I’d watched it on eBay, it didn’t sell, I pm’ed the seller and offered them their starting price and they said – don’t worry about it, just come and pick it up. Sweet! It was held together by rust and didn’t last, but it did keep me amused while I waited for my Adventure Buggy dramas to be sorted out so I could buy a…. Oh wait, there was another pram before then. Bebe Care Mira. 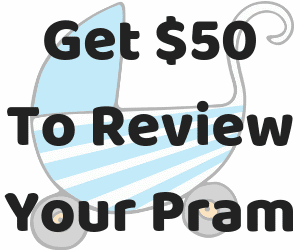 I was given this pram by another parenting site, to write a review on. I had about 300 words written about it before I’d even put a child in it, I was more than happy to have a fiddle and critique all the things I liked and didn’t like about it. 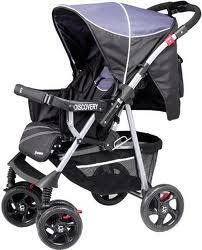 Overall, it’s a nice, inexpensive, stroller. It had much smaller wheels and overall felt much more flimsy than my Maclaren, so while I’d thought I’d keep this and dump the Maclaren, I decided to keep my trusty old Maclaren instead, but considering it’s RRP is about $150, it’s a reasonable little stroller for it’s price. So… back to the Strider! I kept my “King Fisher Blue” seat and paired with a brand new “Hot Pink” pram (on a new frame) Isn’t this just the prettiest pram you’ve ever seen? The fun part was once our baby girl got old enough to choose, she’d always opt for the lower seat because she could climb into it herself and our son wanted the top seat because it was higher up and thus – better. I love that we got a gender-colour-specific pram, and our children still chose what suited them best, regardless of the colours. Love. Kids are awesome. But, alas, we moved recently, interstate, and I had a sick feeling in my gut that if we put the pram into storage something would happen to it, so instead we sold it before we moved. I paid $490 for it, I’d had it for about 18 months, and still sold it for $320, so I really cannot complain about that transaction. Bebe care Rverse. I’d previously babysat a little boy who had one of these prams, and one thing I think is great about these prams is the fact the main seat converts into a bassinet with a pull of a strap and unclick of a buckle. Our toddler thinks that’s pretty marvellous also and asks for it to be a “bed” when we go out. It’s nice though that even as a toddler if she falls asleep in the pram it can be adjusted so she’s able to lay flat – curled – but flat. The only thing I feel like this pram is missing is pockets, but it has a ample shopping basket, and I do like the adjustable handle. ABC Adventure Buggy with a static second seat. Haven’t I had you before…? This happened one night when I’d been out shopping with both the kids and attempted to walk the 3klms home with only a single pram. This was probably a mistake, but it was $20, which is about 1/60th of what I’d paid for my previous one. Plus, it was quite old, it said it had been bought second hand, 3 years prior, which to me read as “Hey! This was manufactured back when they made decent prams! CHA-CHING!” It has a static seat, rather than the reclining seat, which means it can just stay on the pram as I can easily see over it and mostly the second seat is used for dumping my handbag in. Though this pram doesn’t have rear facing, it has air tires which becomes a pain as they do go flat and get punctured from time to time – like a bike. I’m undecided if I’m going to keep this pram for the very rare occasions where I want two seats OR keep the Bebe Care Rverse – but one of them has to go! Haha Rachel I could definitely join your pram addict club. Think I’m up to about 15 and No where near done yet lol..
Candice I keep thinking “this is the absolute last pram”, but that was several prams ago, so who knows…. Mind if I ask what your prams you’ve had- and what prams you might have in mind for the future? I think I’ve had 8, it’s the no car thing, but we have none the same. I’ve had a couple of Phil and Teds, a Stokke, two Quinnys and Quicksmart and for the last two years a BJCS, which is the ultimate no car stroller. Will be sad to give it up but she’s scooting too much to justify it much longer. I have trouble pushing in a straight line with esme sat on the front and sylvie in the seat. But it can fit an astonishing amount in and still be completely stable. When Sylvie was tiny a v large and v drunk man fell on top of the BJCS and it didn’t budge and she didn’t wake up. The only annoying thing is the hand brake which toddlers can operate. See as a non driving Melbournian who catches a lot of trams and lives on the first floor (no lift of course) the MacLaren will always be my number one love. I can haul that baby anywhere, and if there’s no space I can take the toddler out and fold it one handed. 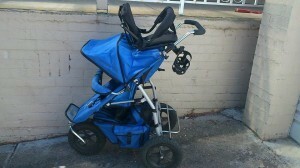 I’ve owned three other prams, all of them have ended up being verbally abused and left on the roadside. I started with some steelcraft pram, then I got the P&T vibe x2, valco tri-mode(not recommended for 2), P&T vibe again, strider plus, BJCS, BJ city mini, BJ city mini double GT, 4moms origami, BJ city mini, I have 2 strollers in between these times that didn’t get much use. I now have a strider compact which I’m not impressed with so next month when the new BJCS arrives I’ll be getting another one in teal. Love the new colour!! Candice Grainger that’s good – I’ve not tallied up what I’ve spent in total. Wtf…. Why so many prams honestly? They just give up on you or serious problem? Omg Lol obsessed! I have a steelcraft 3 wheeler awesome! 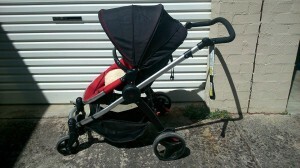 My one pram went thru my two Chn and six day care babies. It finally died at number seven day care baby! I got to my 26th pram with my daughter. The last 3 have been strollers. But now she walks everywhere. Now with #2 on the way I’ve bought a double! 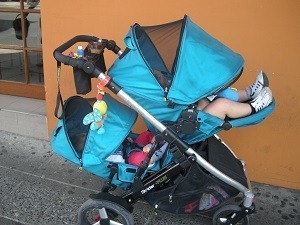 My second hand pram with a toddler seat lasted my four babies. Haha this is so me! Glad I’m not the only one! 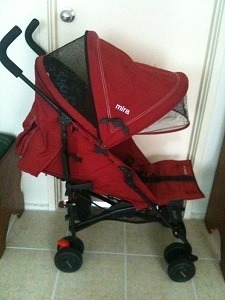 I’m onto pram number 8 (strider compact) and have 3 kids hahaha! I think half the time ppl jst wnt 2 show off. Like spending alot on a pram/ stroller. All has 2 b brand names etc. I have 5 kids and owned mayb 5 and a half prams. The half being a crappy umbrella stroller. I have a problem with buying prams and my husband is constantly going off at me because I ‘just needed it’ lol. It started while I was pregnant with my No. 1 son. I bought a VeeBee Navigator 2nd hand from a workmate. Not a bad pram, but small. My husband is tall (6ft 3″) and always had trouble pushing it. I bought a steelcraft obrit, with the reverse handle. It was great. But I still had a bit of pram envy. I wanted a Strider. Just my luck I was wondering through Lifeline one day and there was a strider 3, in great condition, for $35. I couldn’t leave it there. When I found out I was pregnant with No. 2 son, I went on the search of a double pram. Once more I picked up at the same Lifeline store. A Vee Bee Rebel with toddler seat for $55. I bought that and donated the veebee Navigator at the same time. 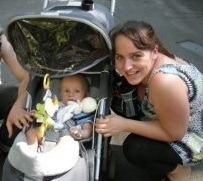 It was a great pram until I went to use it with both the boys. There wasn’t enough room for a newborn in the back, was very hard to stear with a toddler in the front, and because the toddler seat didn’t recline, my son was not able to sleep comfotably when we were out. On the hunt again. I happened to be on Facebook when someone was selling a Phil N Ted sports with toddler seat for $170. I was so impressed. While my newborn was still little, I had the toddler seat mounted on the front and baby in the main seat. When he got too big, he went in the toddler seat in the bottom, and my toddler in the main seat as he was too tall for underneath. When my toddler started to want to walk I bought steelcraft holiday stroller just for running around in. Currently I have the Strider 3, steelcraft orbit, and Phil N Ted in my storage/sewing room, the holiday stoller in my car, the rebel in storage at my inlaws and a couple of cheap umbrella strollers hiding somewhere. I have been put on a warning. I am nit to buy another pram in pain of death lol. Hi Kelly, I haven’t got a whole lot of experience with Phil and Ted prams, I worked as a nanny for a family with a Phil and Ted (Vibe – I think, it was years ago) and I wasn’t a big fan, though my main complaint with it was it’s a bit small, I couldn’t really fit anything else in the pram with two children – so if you’re looking for a smaller double it’s probably perfect!